If you have an instrument to learn, you will never be bored again. There are plenty of instruments to choose from, and you can get them pretty cheap second hand. 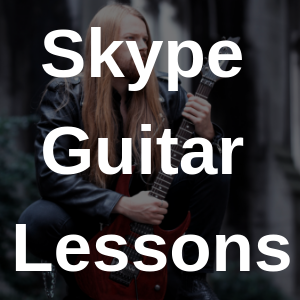 For example, if you want to learn how to play guitar, you could buy a cheap second hand guitar and take some free lessons online. You can get a guitar from craigslist, Facebook marketplace, a local store, or even Amazon. You’ll probably find that one of your friends has one they don’t use, and they might lend it to you. Learning an instrument can give you many endless hours of fun, is a productive way to spend your time and it can be a great social tool. 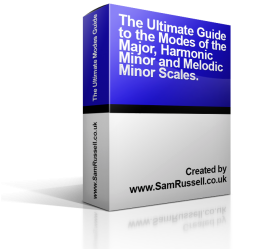 If you already play an instrument, why don’t you see if you can learn how to write a song? Or if you want a more advanced challenge, you could have a go at learning counterpoint. If you want to expand your mind, learn new perspectives and dive through 1000s of years of human history, then reading books is the thing to do. It’s startling how little most people read these days – and when I say read, I don’t mean through facebook. You can read the greatest novels mankind has written, learn about histories of ancient cities, read biographies of musicians and emperors; or work on improving yourself. One of the most wonderful parts of being human is learning new skills. There has got to be something that you are interested in that you could do. You would be surprised at the local classes you can find on almost any skill, from painting to dancing. You can also take a look at Udemy – they have hundreds of courses, some of them pretty cheap, that cover a ton of topics. All these IT skills are very profitable when done right, and if you wanted to become a remote worker, you could do these jobs from anywhere with an internet / WiFi connection. You can learn these skills with courses Udemy, or other websites you can Google. There are many ways to learn new languages on the internet. My favourite is DuoLingo. I’ve tried it with a couple of languages and it is really fun – you can pick up the basics pretty fast and it tracks your progress, ‘gamifying’ the process. It’s a pretty fun and easy way to learn, and you’ll find yourself developing your vocabulary and putting together simple sentences in no time at all. If you want to take your language skills to the extreme, then take as short holiday in a country that natively speaks that language. That is the best way to learn a new language – road test it! Modern life can get repetitive pretty quickly, and we all need a little more adventure. With modern transportation being as good as it is, in most Western countries you can get someplace suitable for an adventure within an hour or two. Hiking up mountains is peaceful and challenging at the same time. Make sure you have a basic level of fitness, you’re reasonably prepared and check the weather before hand. While mountains are some of the most beautiful scenery on the planet, it is easy to get into trouble on them if there is bad weather. You can check out why I love the mountains here. Inter-railing makes for a great adventure. If you are under 30 you can get an inter-rail pass quite cheap, and it makes it easy see a huge amount of Europe. You can travel between a whole ton of different countries, see the sights, meet the people and have an adventure. If you like your music heavy, you can check out some of the best metal bars in Europe. There are more music festivals than ever before, and they are a very cost effective way to see your favourite bands – and an easy way to make some new friends! Both Europe and America have a lot of great heavy metal festivals, and these are the best metal festivals in Europe. Fingers crossed, the weather will be good and you can enjoy a few beers and make some new friends! Museums, art galleries, submarines; there are tons of great things and days out you can go do… if you take 5 minutes to look! Most major cities have museums and art galleries, showcasing stolen artifacts from around the world, local history and art. You can also find some pretty fun museums showing old military equipment and ships. For example, the UK has 3 museums where you can go on old submarines and get a tour through them. They’re pretty fun! Blogging can be a cathartic way to spend your time, and they can be profitable when done correctly. Setting a blog up is pretty easy, and I can show you how to create a blog on wordpress. You could even take this idea and combine it with something else, blogging about your new skill, adventure or your new sports. If you’re bored, maybe it’s time to take up that new work out program you’ve been meaning to try? It’s better late than never. Working out regularly will help you feel better, look better and focus better. It’s a very effective and fast way to improve multiple areas of your life. You can join a gym, or look up calisthenics and do workouts at home or in the garden. A lot of towns now have “outdoor gyms” at the local park that you can use. If you want a workout guide, try Body of a Spartan, it’s a great program that will help you get lean, build muscle and get stronger. 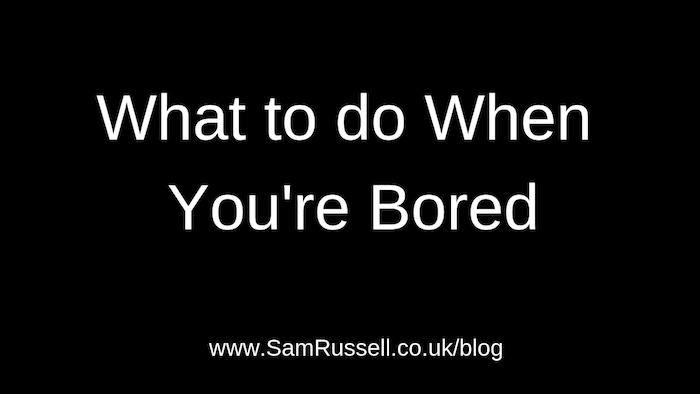 So there you have a ton ideas on what to do when bored, you should never be bored again!